Fantastic news! Today (2/25/2011) at 2:37pm we signed documents to incorporate as Browserling Inc. 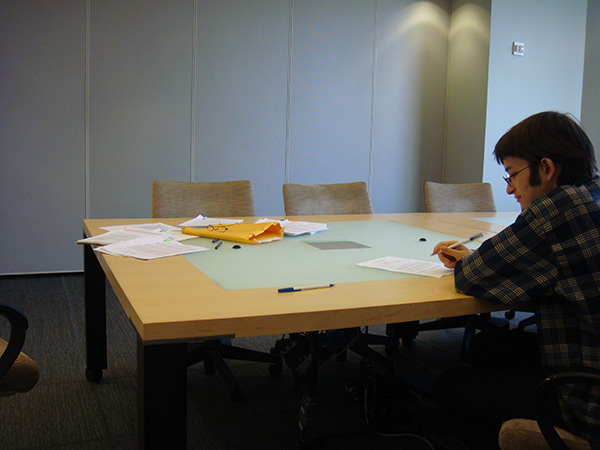 Here's a photo of us incorporating at Fenwick & West offices at 555 California Street in San Francisco. My co-founder James Halliday signing incorporation docs! Too bad we didn't take more photos. Anyway, here's my co founder James Halliday signing his part of incorporation documents, while I'm taking a photo and our lawyer, Mark A. Leahy is outside of frame on the left.